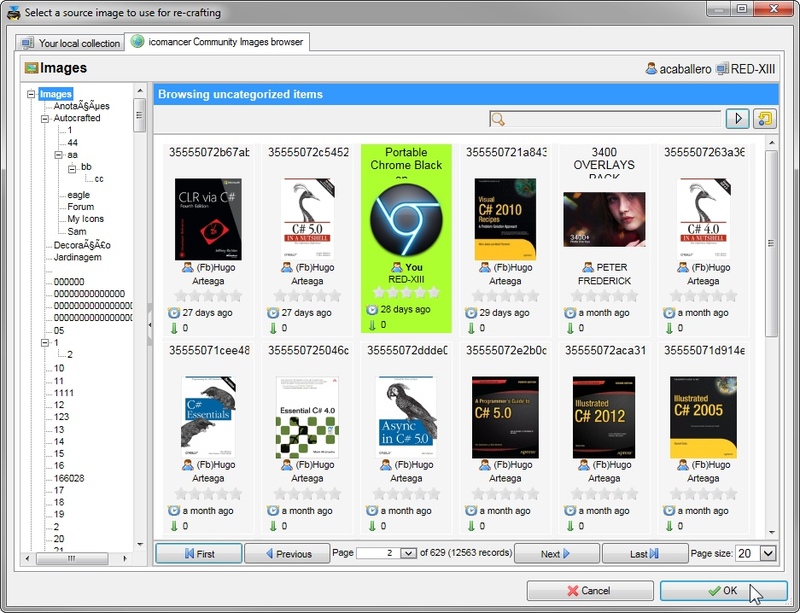 Some months ago we were forced to disable the community libraries due to the massive increase in size of the icomancer images and icons databases. User contents were being received and properly saved, but only for backup/restore purposes. Browsing the galleries to pick images or icons shared by other users was impossible: the preparation of the contents took several minutes and under certain circumstances, they caused crashes due to memory overflows. During the last days we put our hands on the server code and optimized the databases. After several fails, we finally brought a good fix and, after running tests, we saw a speed increment similar to when icomancer had just a handful of users. We made some stress tests and the server is now scratching its tummy most of the time, so we wrapped up the whole thing and announced it with bells and whistles. If you experience any issue, don't hesitate on posting a support request here on the forum! PS: Here goes a warm hug and a big THANK YOU! to all the users that patiently waited for this issue to be fixed. We appreciate you guys!